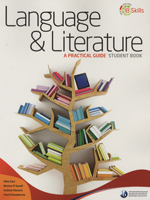 Language & Literature: A Practical Guide. By: Mike East, et al. Help students to understand the key and related concepts and build the skills they need to reach the highest level of the assessment criteria. IB Skills is an innovative new series of resources for years 4 and 5 of the MYP. - help students to understand key features of the MYP-global contexts, approaches to learning (ATL), inquiry and reflection. These practical, subject-specific guides include a wide variety of topics designed to engage and motivate students. Each chapter in the books is designed to deepen conceptual understanding and to allow students to practice the skills that they will need to reach the highest level of the assessment criteria.